Rainbow Riots || Rainbow Riots is a politically and religiously independent, non-profit organisation advocating for human rights for LGBTQ people | We release India’s first Pride anthem today! 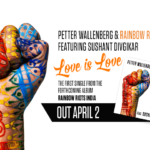 02 Apr We release India’s first Pride anthem today! 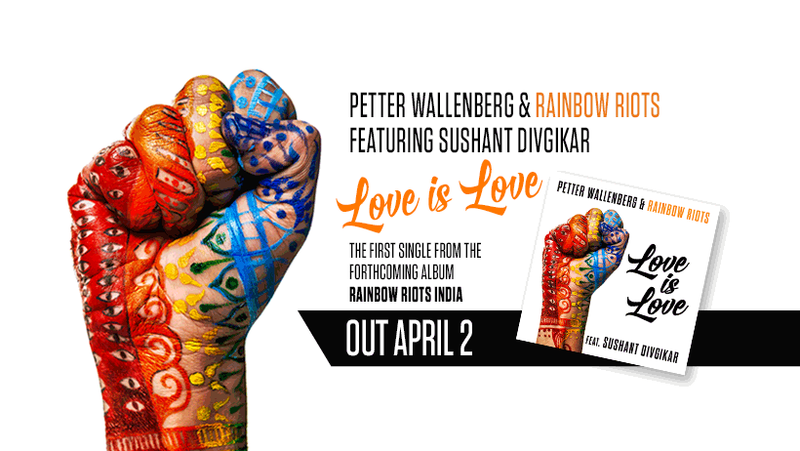 Out April 2nd: The first single from our forthcoming album “Rainbow Riots India“: Petter Wallenberg & Rainbow Riots – ‘Love is Love’ feat. Sushant Divgikar. 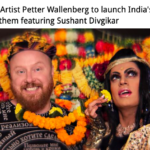 The international LGBTQ organisation Rainbow Riots’ founder, Swedish musician and activist Petter Wallenberg has been in Mumbai for nearly two years, collaborating with India’s first openly gay, trans and lesbian singers and dancers. The result is upcoming music and activist project ‘Rainbow Riots India’. 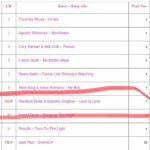 The first single Petter Wallenberg & Rainbow Riots – ’Love is Love’ (feat. Sushant Divgikar) is released April 2. The accompanying video was shot onsite at India’s first legally recognised Pride in February 2019 and also stars India’s first transgender dance group Dancing Queens.